As an ambassador, lawyer and political analyst, Jaime Aparicio has more than 25 years of experience in public and corporate affairs in Latin America, the Caribbean, Europe and the US. He was sent by President Jimmy Carter to participate in election monitoring and conflict resolution in Nicaragua, Ecuador and Costa Rica. 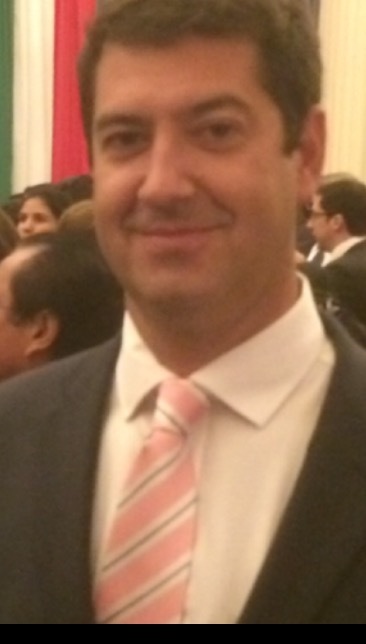 Between 2002 and 2006 Jaime Aparicio was the Ambassador of Bolivia to the United States. Previously he worked in the Organization of American States (OAS) as Executive Secretary of the Summit of the Americas and as a political affairs advisor to the Secretary General of the OAS. He was also president of the Inter-American Juridical Committee. Between 1993 and 1997, he was Undersecretary of Foreign Affairs and Acting Minister of Foreign Affairs of Bolivia. Ambassador Aparicio was also Director of the Bolivian newspaper “La Razón” and professor of International Law at the Universidad Católica in La Paz. In the corporate world, Jaime Aparicio acted as legal counsel to the Bolivian Investment Agency and he has represented several companies, including Coca Cola (Santa Cruz), Caterpillar Bolivia, Banco Solidario S.A., Banco BHN Bolivia and numerous Bolivian agricultural companies. Mr. Gurria is an expert in multilateral financial institutions (IFIs) and key emerging markets with over 15 years of experience developing opportunities and managing deals in emerging markets, with a focus on Latin America. He has managed multiple assignments with financing from multilateral institutions. Martin was also involved in the raising of investment for Delaware from the International Finance Corporation (IFC), which is the private sector arm of the World Bank. He has helped many different companies in raising project financing from multilateral institutions. His areas of expertise include telecommunications, technology, trade, transportation, agriculture and development economics. Mr. Gurria is a Senior Advisor at the Delaware Group and an advisor to Grid2Grid. He is a PhD candidate for the University of Valencia in economics, and he holds a Masters in International Economics for the Paul H. Nitze School of Advanced International Studies (SAIS) of the Johns Hopkins University. 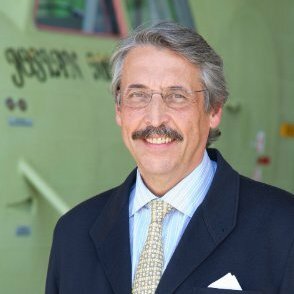 Mr. Morales has more than 30 years of experience in the aviation industry worldwide, with a main focus on the North American market. In 2003 he was named President and CEO of the US Operations Services of Airbus. In 2000 he was named VP of Business Development Sales for Federal Government at EADS CASA USA. In 1998 he came to the US when he was named VP of Business Development of CASA Aircraft USA and since then he has been a strong supporter of the US-Spain relationship. Previously he was the VP Sales for the Asia Pacific region. From 1980 to 1986 he occupied various positions within the marketing and business development areas of CASA Aircraft. He started his successful career at the sales support group at Boeing. Mr. Morales holds an MBA from the IE (Instituto de Empresa) and is currently the President of the IE Alumni at Washington DC. Previously he graduated from the Polytechnic University in Madrid with a B.S. in Aeronautical Engineering and a M.S. in Aircraft Flight Dynamics. As a journalist, Paloma Ruperez was Executive Director of the EFE Foundation from 2003 to 2013. She was the correspondent from 2000-2002 in Lisbon for Agencia EFE, Spain’s international multimedia news agency and as its Director of Documentation (1986-1999) she was responsible for the creation of the Data Bank EFEDATA and the digitalization of its graphic archives. In 2002 Ms. Ruperez was the Joint Director of the Presidency of the Agencia EFE. She has organized technical programs for young Spanish and Latin American journalists in Spain, Europe and South America. She has taught classes in Spanish Constitutional Law and Documentation and Journalism in several Spanish Universities. Paloma Ruperez holds degrees in History and Journalism and Communications from the Universidad Complutense of Madrid.